The International Committee on GNSS will hold a workshop on GNSS spectrum protection, interference detection and mitigation on June 7 and 8, 2012 in the United Nations International Centre in Vienna, Austria. The workshop will take place in conference room M-7. It will be held in conjunction with the Committee on the Peaceful Uses of Outer Space (COPUOS) 2012 session, which runs from June 6 to June 16. Radionavigation Satellite Service (RNSS) Spectrum Protection Overview with Attila Matas, ITU and a United States Department of State speaker on behalf of the Federal Communications Commission. Sources of interference, with speakers and specific topics TBD. Update from current providers, with Rick Hamilton, United States, and other systems representatives. Opportunities for international collaboration and cooperation with a discussion about building the multi-GNSS framework for IDM sharing, dissemination, collaboration and standardization. Hank Skalski will speak on behalf of the U.S. Discussion of interference events and lessons learned based on actual experiences. Tom Powell will present on behalf of the U.S. 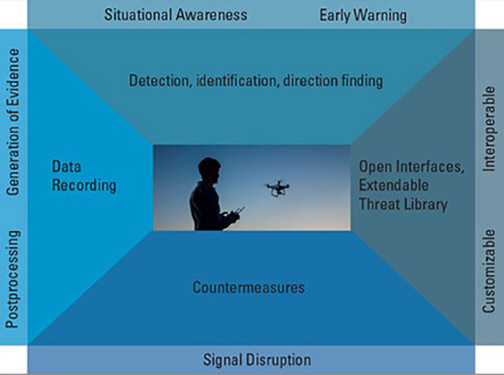 Discussion of concepts and techniques used for interference detection and monitoring and future collaboration. Speakers TBD. For information about attending the meeting, contact. Sharafat Gadimova, program officer, at the email address below by Tuesday, May 29. Ms. Gadimova says, "If you are not part of the delegation of your country or an organization attending the forthcoming session of COPUOS, kindly inform us whether you would need a letter of invitation from our office. "